Petal took to the stage at a quiet Bodega and quickly started playing songs from her first album, Shame. Usually a full band affair with touring members including those from Tigers Jaw and Three Man Cannon, tonight saw just vocalist/guitarist Kiley playing the songs solo. She powered through songs such as “Tommy” with huge singalong choruses, before the tour manager took stage to play drums for a pretty incredible performance of “Heaven”. Great start to a great show; hopefully Kiley will make it back over with the full band soon. Interview with Kiley coming soon. 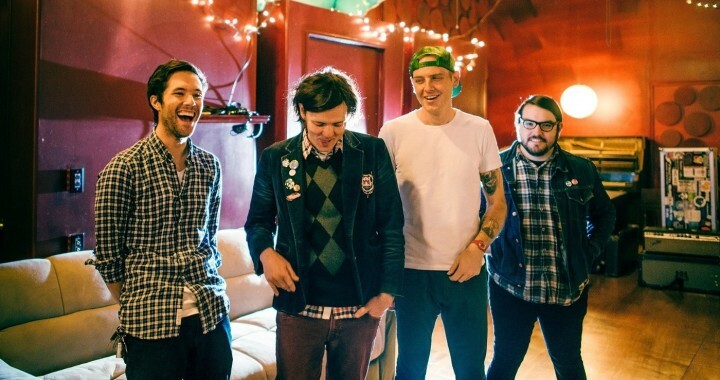 As Beach Slang took to the stage ten minutes before they were supposed to, the mood of the evening was set as lead singer James Alex’s banter began before the first song. They blasted straight into hit of the century “Filthy Luck” and ploughed through songs from their debut album and first two EPs. Songs were played in pairs, and in between there was banter ranging from Robin Hood to votes on which covers should be played. Really, all in all, everyone was laughing one minute, then singing their hearts out the next. An obvious comparison is to The Replacements, not just musically, but in their attitude and stage shows. They carried through, playing “Boxcar” by Jawbreaker, and their popular songs like “Dirty Cigarettes” which was stopped half way through so Alex could tune his guitar. They closed the show with “Too Late to Die Young” with just Alex solo as the drummer jumped into the front row of the crowd to sing along, and then a rousing cover of “Bastards of Young” by The Replacements, which got as big a reception as any Beach Slang track. There’s a lot of crossover. Really, this show was a masterclass in how to get the crowd on your side. 15 songs spanning an hour and fifteen minutes might sound ridiculous, but it never felt long or over the top, just endearing to see a band doing what they love, and having fun at the same time. Posted in Live Reviews, Reviews and tagged beach slang, bodega, DIY, nottingham, petal, punk rock, the replacements.